A few weeks ago I received a nondescript envelope in the mail at work. It was from my dear friend, Brad Galin, who also happens to be in HR. Inside the envelope was a small scrap of paper and a sticker. The note said, “Saw this and thought of you. – Brad” I looked at the sticker and smiled. A small black circle with a positive message that fit in the palm of my hand stated – Be Good to People. It’s a simple message. Four words that carry incredible weight and meaning. It’s interesting that there’s an entire company that produces this message on a variety of products. (You should check them out !! – Be Good To People) Their whole mission is to spread this message in many different ways so that we all have a visible reminder. They want to see kindness be a constant in our lives and our society. So, you need to ask – Why would we need this reminder? Unfortunately, it’s necessary because the majority of all that we see, consume and share isn’t good. I appreciate people speaking out against wrongs and ills that are happening in our workplaces, our neighborhoods, our cities and our country. It just seems that we’re constantly in some form of battle that pits people against each other. It’s exhausting and disheartening. It’s also ironic when someone brings up a simple solution such as “be good,” the response is a scoff and skepticism. Now, THIS is something worth challenging. I’m an unapologetic optimist. I believe in humans without having them go through hoops to earn my trust or respect. I dig that Brad thought of me when he picked up this sticker. I also appreciate that he took the time to reach out and mail it to me. That personal touch is so meaningful and it gives me a framework on how “being good” can work. Small actions make a huge impact !! That’s it. Simple. We need to understand that much of human interaction can turn from ugly to positive by small steps that happen on purpose. When you have that first encounter at work or at home tomorrow to start your week, the move is yours. If you are pressed and you feel your face begin to get flushed with your reactive response, breathe and then be good. The reason this call to action is so difficult is that we need to fight against our inclination to instantly respond and try to solve something. Being good fights against the urge to react and move on. This call asks you to go against the flow of not only what you’re used to doing, but also how others expect you to respond. What you need to know is that it’s worth the effort. It doesn’t matter what role you hold in your organization. This call isn’t only for HR because we’re the “people” people. Being good is for all people. This week look for areas where you can take a small step. When you see that opportunity, take it. It will change your day, your week and possibly your life. 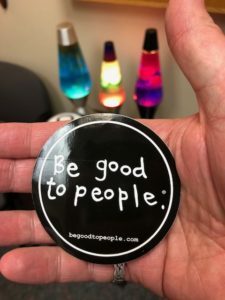 Remember this – Be good to people. This past week I was fortunate to present to my home SHRM chapter the Greater Cincinnati HR Association (GCHRA). It was special to me because this is the place where I “grew up” as an HR professional. They provided the laboratory to get to meet peers in the field, learn and develop HR skills and learn to grow in the role as a volunteer leader. To be asked to come back and now present to the chapter was amazing. Please note that I never take the opportunity of speaking at HR events for granted. It is something that gives me energy because few things in life get me more geeked than being with other HR peers !! I was also eager to try out a new “personal workshop” based on my book – HR on Purpose !! The reason I was eager was that I was trying out a new concept for attendees. The concept is this – I think attendees at HR events expect the speaker to wave some magic wand through their presentation and give people black and white takeaways. These takeaways will be perfect when used regardless of the industry or how HR is viewed in their organization. This just isn’t true. If it was, then we’d all need to hear one presentation from one speaker and then all of our challenges would be solved. The reason this was framed as a personal workshop is that we discussed topics and concepts, and then everyone took time to write down what mattered to them. Here was the next radical move – no one shared what they wrote down !! No one complained or felt on the spot. I think that every HR practitioner follows many of the same concepts in their role. However, every company is different. Also, HR has to be pliable and morph into different shapes and sizes because people are unique. We can’t keep thinking that the one approach fits all works. It never has and never will. Why ?? Because HR is a kaleidoscope. 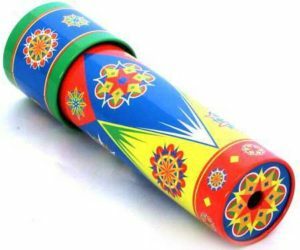 Did you ever have a kaleidoscope as a kid? They are one of the coolest toys because no matter how many times you look through them, the pattern is different. It’s a simple toy. Metal tube (the best are made of tin.) Tiny bits of colored plastic enclosed at one end of the tube that move loosely while still being a bit contained. The end of the tube where the colored bits are can be twisted and rotated to make things roll around and give you a new picture. The only other aspect is looking up towards the light so you can catch the different fractals as they move. This is just how HR is in reality. We need to look to the light (or positive) side of what we do. Then, move things around and we’ll see the colorful bits (our people) move, shift and perform to make new pictures and results. After the workshop, several people came up and shared that they had been looking at HR the same way for years and years. Having some time to hear a different perspective and then write down some things to act upon reenergized them. They left eager to apply something they learned based on what THEY needed !! It’s not a novel concept, it’s just something we’ve not done. Going to HR events, chapter meetings and conferences is essential so that you get your batteries recharged and you also meet, and hang out with, your HR compatriots. The key is to twist your kaleidoscope and no longer go just to be motivated and jacked up by a speaker. Try something new and take notes that work for YOU so that you can continue to grow and thrive in all you do !! I recommend that you do one more thing. Buy a kaleidoscope for yourself and keep in in your workplace as a reminder to keep HR fresh and colorful all the time. I have one that I look at all the time. It works !! Author Steve Browne (Admin)Posted on January 14, 2018 Categories HRTags GCHRA, HR, HRonPurpose, HRTribe, Human Resources, intentional, SHRM2 Comments on HR Kaleidoscope !! HR is often a profession practiced in isolation. That’s unfortunate but true. 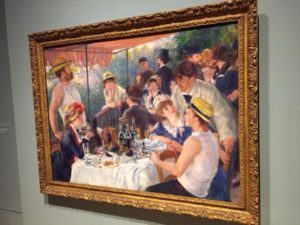 HR folks are isolated both inside their organization somewhat because of the nature of the work that we do, and outside because HR people are reluctant to connect on purpose. I find that amazingly ironic that we work with humans all day, but don’t have many HR connections. I understand that people have different capacities when it comes to how many connections they have, but to continue to work in an isolated manner will only hurt you in your career. Why are we so hesitant in connecting? Do we just want to get away from our work and we feel that if we have HR friends, we never really break away? Is it because we are slow to trust people? I’m sure there are other questions that may answer this situation. However, I think that if you’re alone, you need to remedy that. Please note that what I’m encouraging you to consider is far more than networking. I think you should have friends who work in HR. This past week I had the opportunity to travel to Nebraska to meet new HR folks in both Omaha and Grand Island. I then went to the annual Volunteer Leader Summit in Washington, D.C. where I saw many old friends as well as met many new HR peers. These events are extremely invigorating for me !! I feed off the idea of meeting new people – especially those who are in HR. Having friends in HR is necessary because they DO understand what you face on a daily basis. They DO feel the same ups and downs. They want to be included in their organizations as partners and contributors. The anxiety and concern that you may have in your head about stepping out to have friends just isn’t the case. You see, we all want to belong. It’s innately human. Since we work in a field where we don’t have many friends internally within our companies, we need to find some outside. Whenever I go to HR events to speak or attend, I seek out HR peers to make sure to get to know them and get them to break out of the funk they’re too often sinking in. I do this by intentionally taking time to greet them, talk to them and learn something unique about them, and get them connected with others. I can’t stand seeing people remain isolated. Are you isolated? Fix that. Reach out to someone else in HR and make a friend. Someone who will listen, grow and thrive with you. What’s the result in doing this? Your friends will become YOUR masterpiece !! Author Steve Browne (Admin)Posted on November 19, 2017 November 19, 2017 Categories HRTags Approach, HR, HRonPurpose, HRTribe, Human Resources, intentional, SHRMLeave a comment on Friends in HR ! !